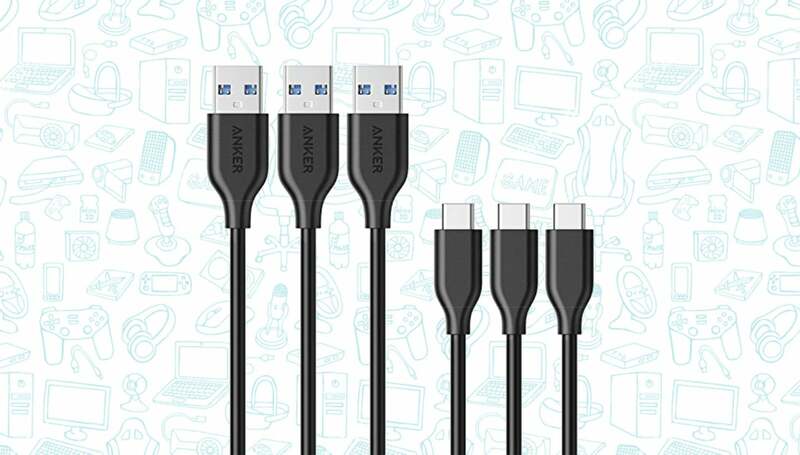 Anker is offering a 3-Pack of its PowerLine USB-C to USB 3.0 Cables for just $10 when you use promo code SDUSBC33. That’s a 55 percent discount and the lowest we’ve ever seen. Anker makes our favorite Lightning cable to date because not only are the well-built and MFI-certified, but we find that they simply just last longer when compared to other manufacturers, including Apple. While no iOS device charges up via a USB-C cable, there are plenty of other products that do, including many Android devices and, of course, the new MacBooks. The Apple TV also uses USB-C for diagnostics or if you want to (cough) sideload Apps. It’s also likely that more and more products we use every day are going to start using USB-C, so might as well stock up. $10 bucks for 3 of these from Anker is a heck of a deal. Just be sure to use the promo code SDUSBC33.